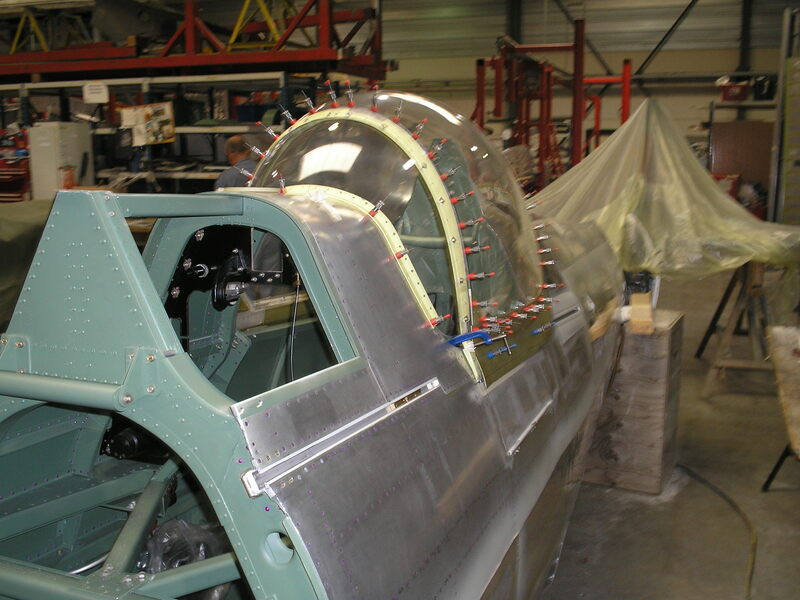 Read the July Spitfire Restoration update of the Aero Legends Spitfire NH341 which is being restored and converted to a dual cockpit T9 version. 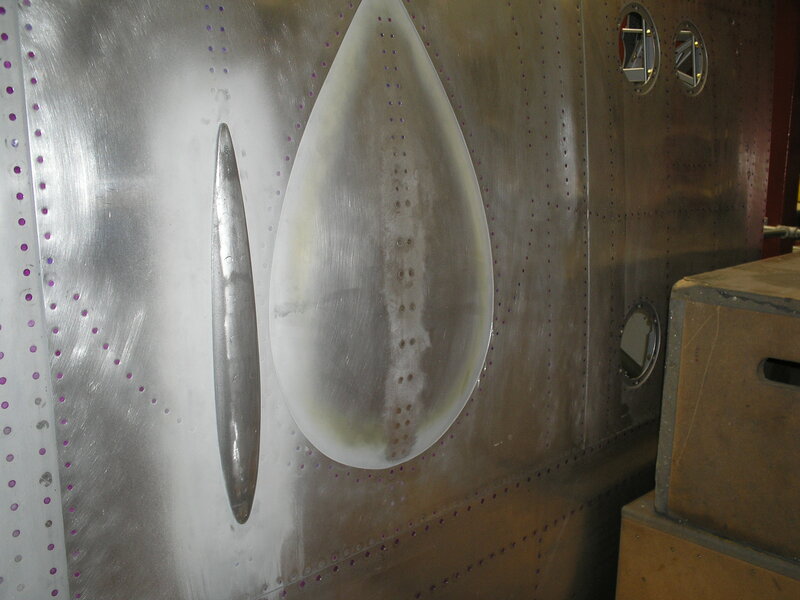 The starboard wing top skinning is now complete. 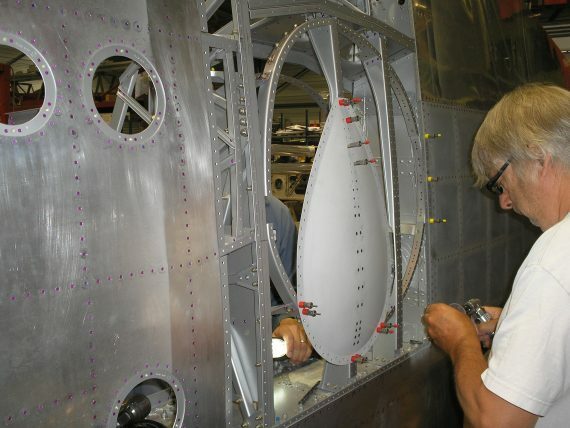 The wheel bay skin is currently being riveted in place on the port wing. 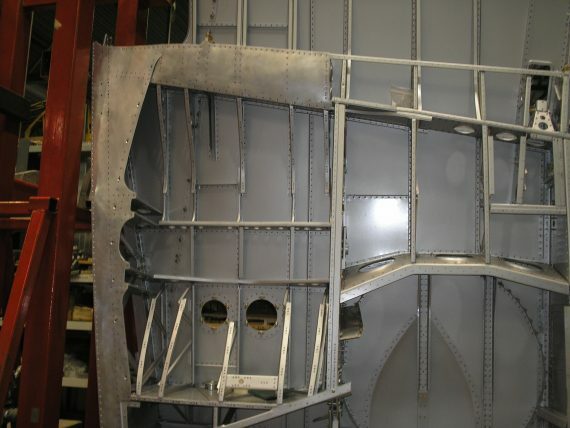 The remaining wheel bay and radiator bay structure is being finalized. 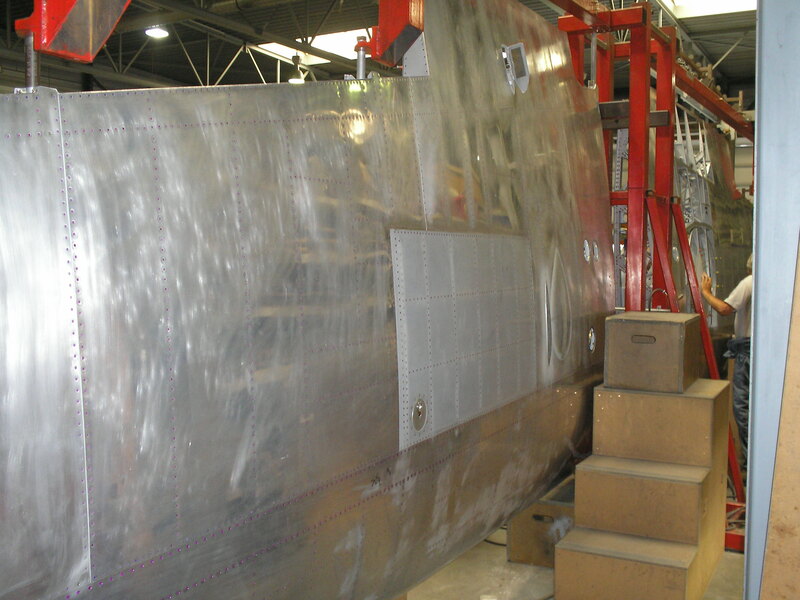 The starboard wing will be completed first and is due to be removed from the jig at the beginning of September with the Port wing following two weeks later. 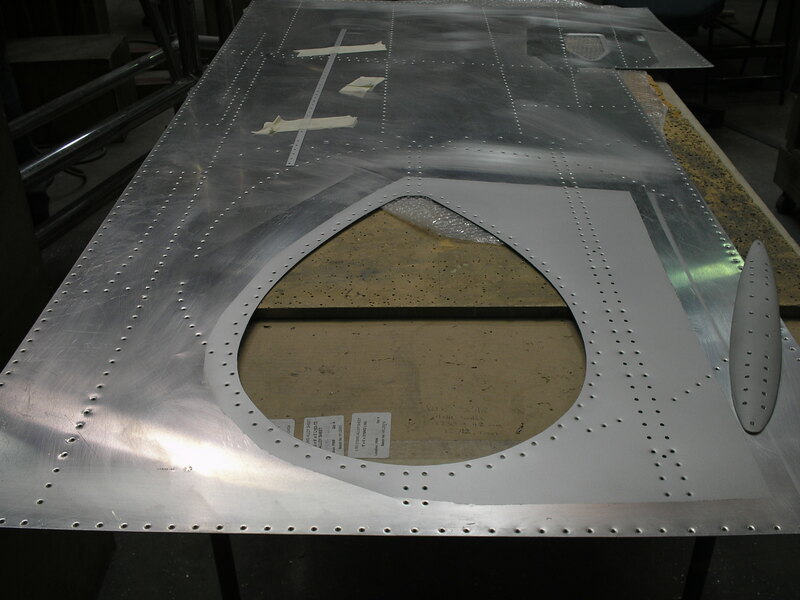 The undercarriage door kits are arriving next week and these will be assembled and trimmed while the wing is in the upright position. The rear canopy has been cut and the side skirts and front hoop have been drilled off. 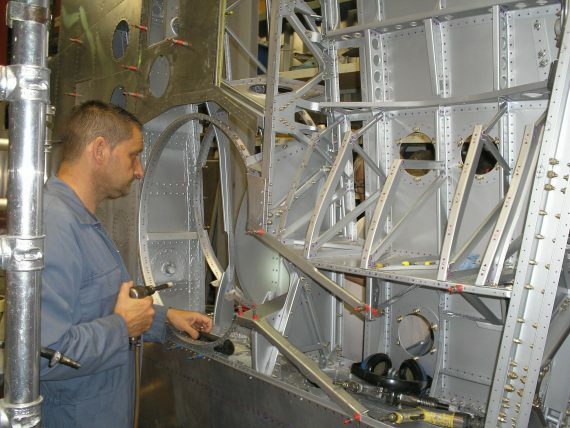 Final fettling will take place to ensure the canopy runs smoothly and easily in the runners. 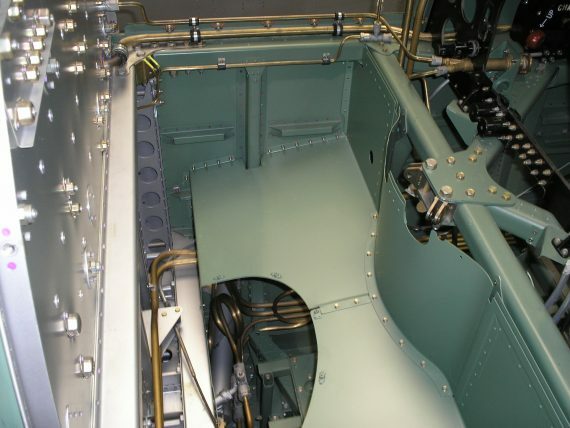 The fuel tank bay liner has now been painted and fitted. 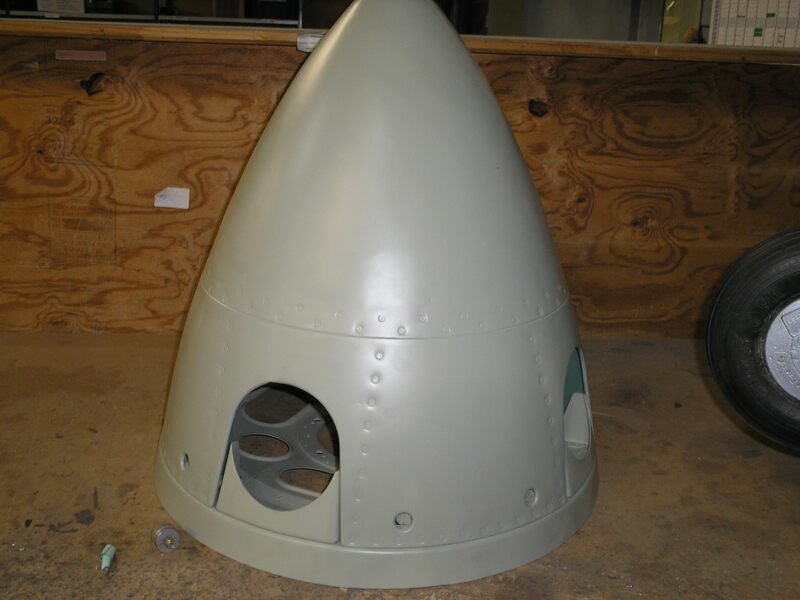 The fuel tank cover has been finished and internally painted. Various holes have been cut and brackets made for the installation of the heavy battery main cables. Setting up of the undercarriage legs continues. The stay rods have been assembled and various shims made to optimize clearances and ensure the correct contact between the up and down lock brackets. 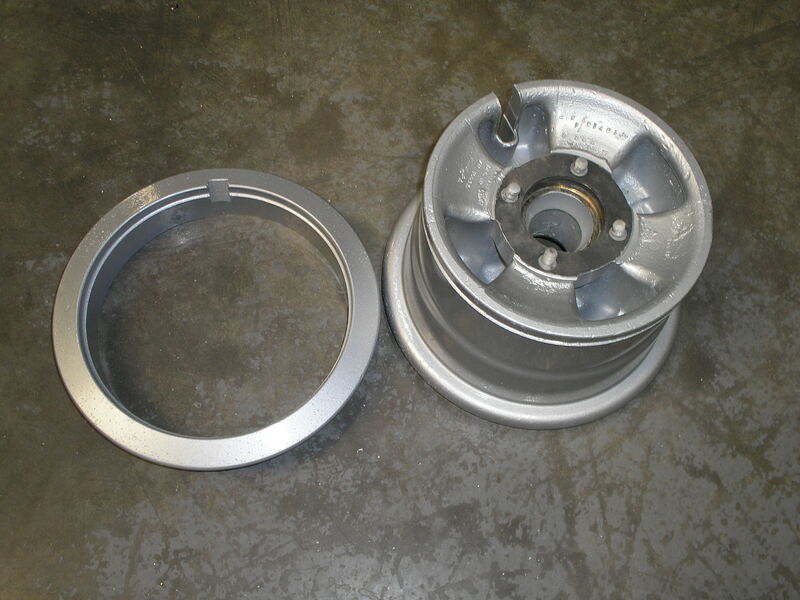 The wheels have been overhauled and painted and the new bearings are ready to fit. 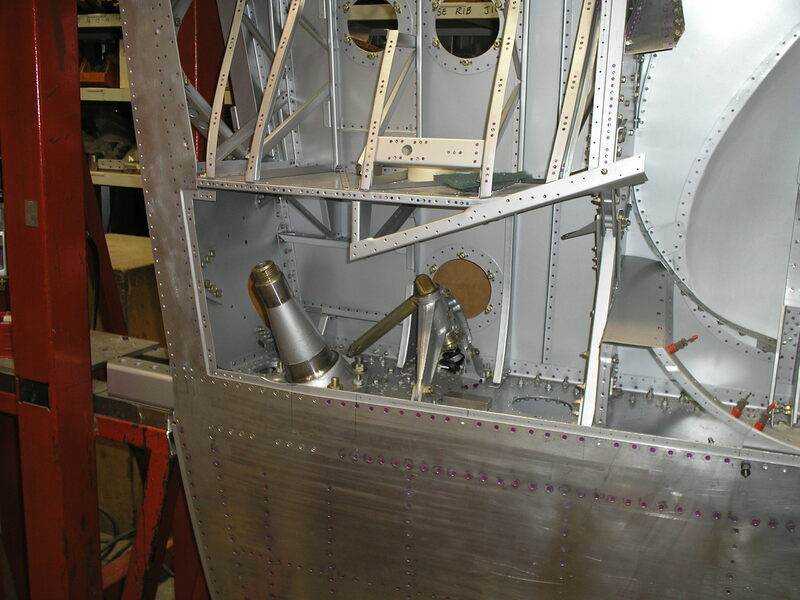 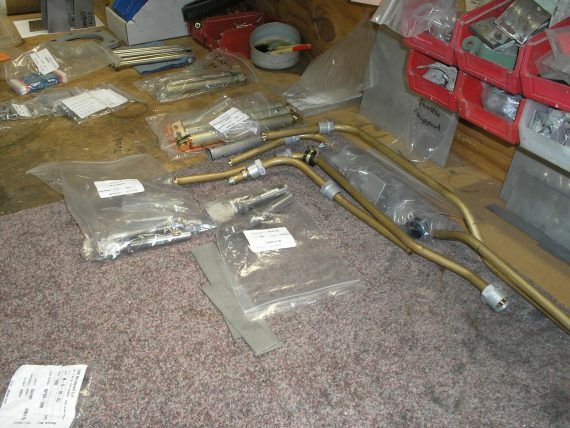 The vent pipes for the wing tanks have been made along with the various fairleads and brackets. 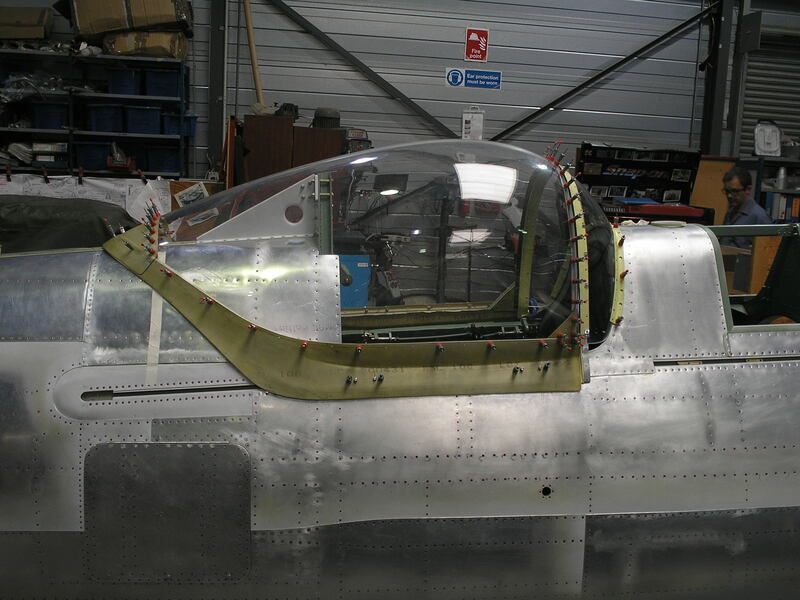 These pipes will be installed before the lower wing skins are finally fitted. The spinner has been painted and will be sent for balancing this week. 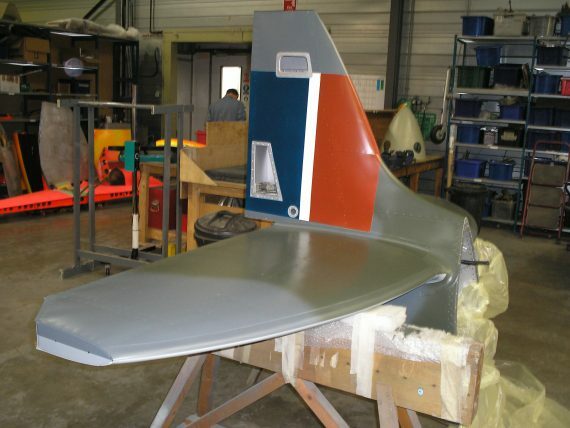 The tail has now been painted. The fuselage is to be painted. 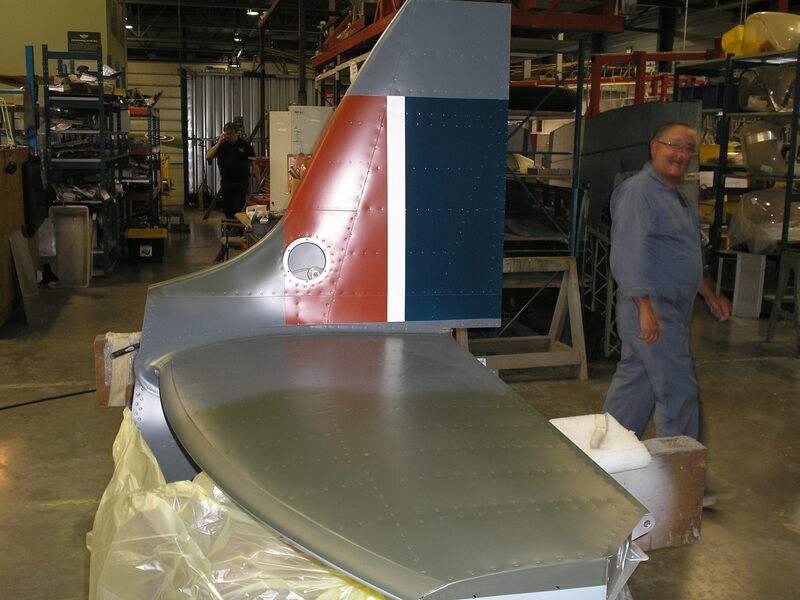 The starboard wing will be nearing completion. 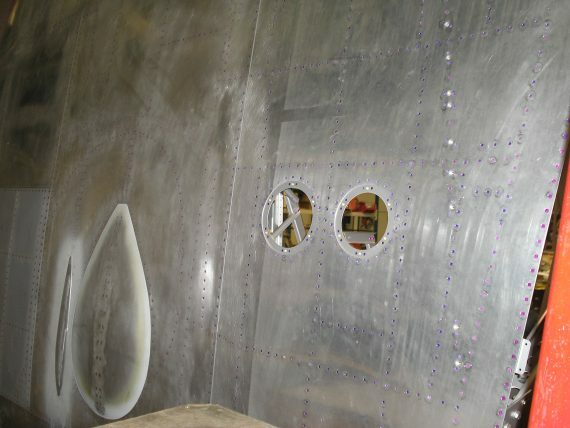 The u/c doors will be in work.